Given our recent major storm event here in South Australia and the entire state blackout, I got to thinking about the whole power thing. You know, that thing about how reliant we have become as a society on a consistent and reliable source of power. For all those gadgets and must have labour saving devices. All of which require a source of power. And how helpless we become when it isn’t there at the flick of a switch. And light, of course, to see what we are doing! In our home we spent one evening – six hours in total – without power. It was not disastrous. We had lots of candles and were able to use our gas stove. But what was interesting is that everything I thought we could do in that time required power! We improvised of course and managed to entertain ourselves very well. 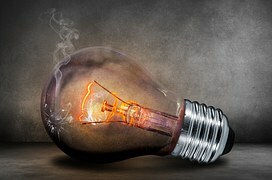 We are so used to the convenience and immediacy of electricity that seldom do we stop to think just how complex it is. Not just that, but in how short a space of time our world has evolved to the stage where most of what we do requires electricity or some source of power supply. And in the event of such catastrophic storms, a reliable backup supply. Which of course we as a state do not have as yet – hence the blackout. I don’t want to dwell here on the various debates that are raging about power, carbon emissions and sources good, bad or indifferent, renewable or sustainable. Rather, I want to focus on a different angle – the power that fuels us as human beings: Mind, Body and Soul. Our own inner light, if you like. What are the spheres of influence that make up that inner core? What fuels it? What makes it function efficiently and effectively? Is the power supply reliable? Is it renewable? Is there an effective backup supply if the mains fails? Where and with whom does the responsibility lie? The arts – permeate every aspect of the wheel and reflect the artists’ gifts and desires to enquire about and to observe all aspects of life. The arts therefore are meme-makers and meme reflectors; mirrors through which we can see ourselves in new ways. From this perspective, every human being is creative and art is integral to all human endeavours. Economics – foster values such as integration rather than disintegration, cooperation rather than competition and strife, and in keeping one-another safe rather than destroying one another. Environment – we ARE the environment and we are Life; all of which is Sacred. The Golden Thread that runs through all of this and connects everything is Love; the Universe is One Being and we are its cells – all essential and responsible for the Whole. We respond to our natural environment with Love. Governance – individual people can change it using the power of Spiritual Citizenship. We are Government through our own Self-Governance. We recognise that as human beings, we need each other to survive on this planet, that we are all in this together, and that community flourishes as we learn about each other and revel in the wonder and beauty of our diversities. We play a Conscious part in helping to bring about a culture in which we, the peoples of the world, can address our common global concerns in an holistic, positive and transforming way and live together in peace with one another. Oneness Governance reflects Unity Consciousness. Health – human beings possess emotional, spiritual, and relational dimensions that are essential in the diagnosis and treatment of disease and the cultivation of wellness. Infrastructure – to design, create and build systems and structures that serve the long-term health and well being of humanity, all of life, and all of consciousness whilst keeping in mind the important major dynamics that come into play when doing so, including the psychological and experiential aspects, behavioural and bodily aspects, cultural and communications aspects, and systemic and structural aspects. Justice – our mutual responsibility toward one-another and our natural environment. We are encouraged to support Spiritual Principles, global ethics, and universal values such as respect, justice, peace, dignity, freedom, responsibility and cooperation that form the basis of Oneness Consciousness. Oneness politics, human rights, governance, law and justice is based on Love. Media – communication and connections with the billions of others as we enter the space of the Global Brain will reflect our Conscious communication and connection with our Self; ensuring that we co-create the sustainable world of peace and prosperity for all that we have all been dreaming of instead of re-creating that which we do not want. Relations – healthy relations are dependent on the relationship with Self and the acceptance also of those parts of our self and others that we regard as ‘not good.’ Wholeness and togetherness can only be experienced through the recognition of the uniqueness, beauty and purpose of all aspects of life, and that this recognition starts with my Self. Science – our current state of the world is not the only way the world can be and the only way conscious experience can be structured. 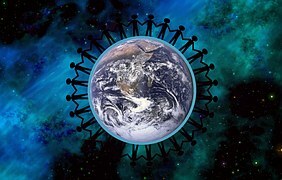 We can co-create the world we really want through Conscious choice. Spirituality – Human development is a mysterious and often a messy affair. We have very rich traditions of psychological research and spiritual practice that help us make sense of various aspects of human growth and transformation. A Oneness approach helps us make sense of all of those traditions and honors the mystery and the multidimensionality of our own unfolding and serves as a catalyst into freer and fuller expressions of who we are. I hadn’t heard of the organization before, but it seems they are trying to do good work and bring light to the world, so to speak. ” Is the power supply reliable? Is it renewable? Is there an effective backup supply if the mains fails?” Heck no! “Where and with whom does the responsibility lie?” Me! And I blew it years ago. It makes getting old a lot harder!!! Nice. Even in my own backyard, people are helping people become better, even though fear can try to scare us. Thanks for the encouragement.